The main characteristic of azorean weather is its unpredictability: it can be sunny and hot, windy and strong showers – all in the same day! The Azores have a maritime subtropical climate across all islands. While they are located at the same latitude of the Mediterranean Sea, the Atlantic Ocean makes temperatures to go much milder throughout the year. Expect moderate temperatures in summer months – rarely surpassing 30°C/86°F – and rarely dropping below 7°C/45°F during winter time. The yearly average temperature is a comfortable 17ºC/63ºF. But the humidity can be considerably high (average of 70-80%) in Azores, so it can feel like a lot hotter! Don’t expect a sunny tropical paradise. In fact, the weather tends to be mostly cloudy during most days, specially during the period from November to March. The average monthly temperatures only vary 8.1 °C (14.6°F) which is a extremely low range. 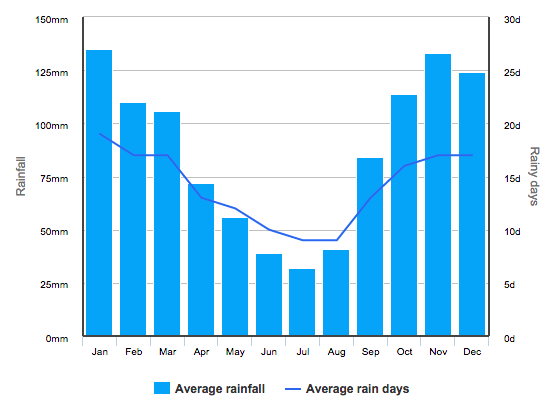 Rainfall is frequent in the Azores, particularly during fall and winter months (September-March). The western-most islands, Flores and Corvo, are specially prone to heavy rains and storms. On the positive side, this is exactly why all the greenery landscapes are so lush and vivid! Average sea water temperature in the Azores. Source: Holiday Weather. These are the coldest and wettest months of the year. Winters can be harsh in some islands, particularly Flores and Corvo, where wind and rain can potentially be quite severe. Extremely mild pleasant weather. Showers are common but often only last a few hours, before the sun shines again. June can already have some very warm days. It’s summer time in Azores, so you can expect more hours of sunshine and very warm weather. The best time of the year to swim in the sea. Usually the time of the year where the weather is more unstable. Don’t be surprised if you get to experience warm sun, heavy rain and wind in only one day! Taking into account all the statistics above, it is clear you can’t expect much from winter months. 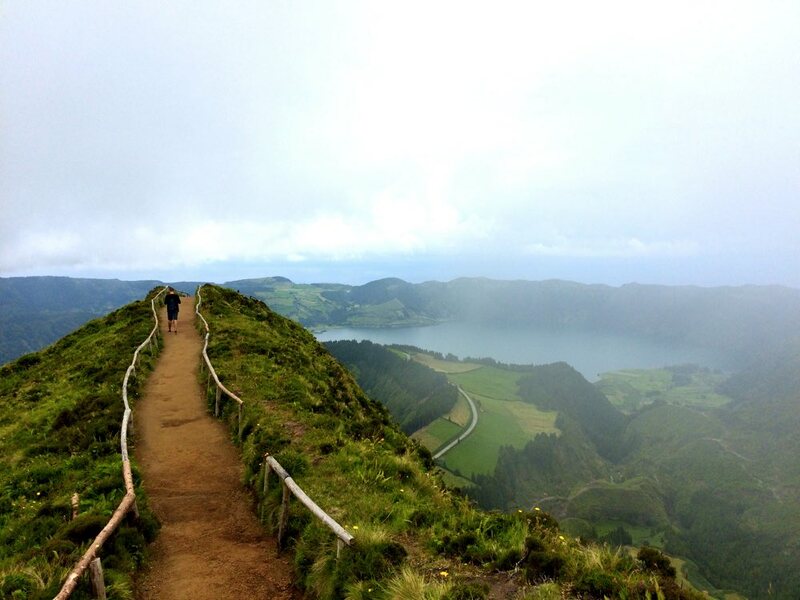 Foggy, rainy and even stormy days are frequent in Azores, all things you don’t want to happen while outdoors. Unless you are on an extremely tight budget or have specific plans in mind, you might want to go somewhere between April and October. June-August will maximize the probability of sunny weather to the most. But this ultimately depends on what you are interested in doing in the islands in the first place. Here’s a more complete page to help you decide.